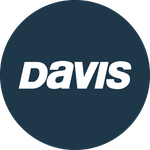 Davis Instruments Support, FAQs and Troubleshooting - I&apos;m going to be away from the office, but still want to get updates on my fleet. How can I get updates? All Categories ​>​ FAQ ​>​ Vehicle Monitoring ​>​ I&apos;m going to be away from the office, but still want to get updates on my fleet. How can I get updates? I&apos;m going to be away from the office, but still want to get updates on my fleet. How can I get updates? You can access the CarChip Connect site from anywhere you have internet access and get up-to-date information on your fleet from a PC or Smart Phone. There is no locking nut on the steering rod side of my motor. Do I need to use the Lube II, and if so, where can I get one?